Whether you’re having problem with your existing furnace & air conditioning unit, or need a new one – our team can help! We have the right solution for you and care about your comfort. Most of us shudder with the thought of plumbing problems. That’s why we are in business, we take care of those worries and small plumbing problems. Below is a list of the things that we can take care of for you. We know how important heating and cooling can be to your business. We also understand that cost is an important factor – we are a 3rd-generation business ourselves. As such, we provide competitive estimates for a wide-range of professional services. Did you know your own backyard has the potential to be the energy source for your heating and cooling comfort? A geothermal heating and cooling system circulates a water-based solution through a buried loop system in the ground to take advantage of these constant temperatures. We specialize in Pool Room Dehumidification, ensuring that you will be the moisture out of the room thus saving you on energy costs. By controlling indoor swimming pool room humidity and room air temperature a stabilized room environment is achieved by the dehumidifier. The Navien whole house combi-boiler is ​the first high efficiency tankless condensing combi‑boiler that can do it all. This space saving unit is capable of providing hydronic heat for the whole home as well as hot water for TWO showers and run the dishwasher at the same time! Your furnace and air conditioning unit should be tuned-up and maintained in order to keep it running in good condition. We offer several services in order to ensure you get the best from your equipment. Whether you’re in need of a new water softener, repairs to an existing one, or are interested in a reverse osmosis system, we can help! Find out more information about this service here. It’s always nice to save money. 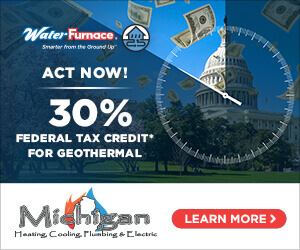 We always have coupon specials going on at Michigan Heating, Cooling, & Plumbing! Visit our coupons page in order to see our current savings offers. With our low price guarantee, we will match the price offered to you by a competing company for the same job! Estimate must be valid from a licensed Mechanical contractor, written within the past 30 days and honored by the HVAC contractor. Call for details. Terms & Conditions apply. 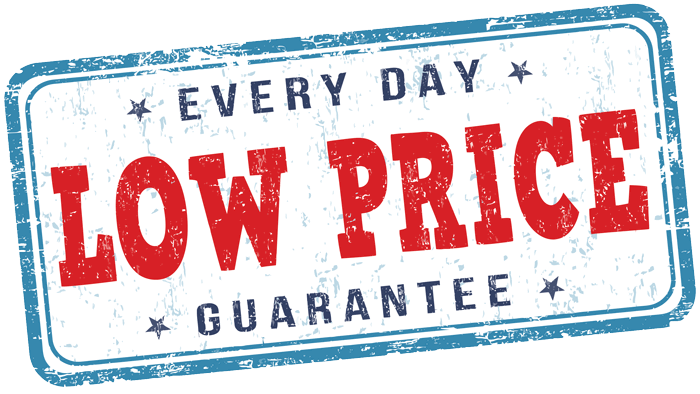 Terms & Conditions of Low Price Guarantee: In the unlikely event you get a lower quote from another Local* Michigan Licensed Mechanical contractor within 30 days of our quote, we will price match. Must be an “apples to apples” comparison: The low price guarantee is only for exact equipment matches. Comparison quotes must be made available to the general public. No coupons incorporated with either quote. Both contractors must have visited the home for an accurate quote. Contractor cannot be a distributor. We will meet or beat the price! *Local is a contractor within a 50 mile radius. Not applicable for Mike Dixon, Columbiaville, MI. Michigan Heating, Cooling, & Plumbing is a family owned and operated company with a lot of history. Caleb Rutledge, the owner, is a third generation licensed Mechanical Contractor and is also a licensed residential builder. We are a rapidly growing company with a big appetite looking to the future for growth. We currently handle residential and commercial, we are looking to expand our services further into the local markets. Thank you for taking the time to review our company and we look forward to hearing form you to further discuss the benefits that we can provide to you. Wonderful job with my central air install today! Very fast and friendly service on all sides. Great financing options! Great prices! Would recommend them to anyone! Made a return customer out of me! Thank you! A big shout out and thank you. They were able to fix our air conditioner when another company that came out yesterday said we needed a whole new unit for $5,600.00. Their service tech was professional, friendly and did a great job in a timely manner. They will get our business from now on. Caleb has done all of the HVAC work for our refurbished farmhouse in Columbiaville as well as for our home in Troy for the last few years. He has done a great job at both locations. It is a pleasure to have a company work for you that you can trust to do a great job at all times. Thank You For Your Fast And Professional Installation On Mom's Furnace. We Appreciate It! !